Actually, let me rephrase that: Where does your inspiration come from? Sometimes I can think of recipes faster than I can write them down. It just takes over my body and I become a machine. Last weekend alone, I made, photographed and wrote up 6 recipes (granted, it was a 3-day weekend, but still), but now I’m just … blank. Sometimes life takes it out of you, but by “it”, I mean every ounce of energy including the positive, restful, rejuvenating energy that typically balances out a long and harried work week. All I have the inclination to do is watch Restaurant Startup marathons and eat chocolate (the latter, of course, being for doctor’s orders, so I must obey). Meanwhile, my house is in shambles due to some relatively minor construction (Bahahaha. “Minor construction” is, for those of you lucky enough to not be homeowners, a ridiculous oxymoron). Everything is covered in a not-so-fine layer of plaster dust, Bryan and I are sleeping on a mattress in the living room, there is nearly nothing in the fridge, and somehow I was looking for a pair of boots and turned up…a mandoline. Slicer, not stringed instrument. Yeah, we’re deep in chaos around here. I had an elaborate post planned for today, but instead, let’s chop something, and see what happens. These carrots rose out of the chaos [insert a phoenix-related simile here], but what they really offered was a barrier of calm. As our trusty contractor and his crew (all of whom we ADORE and who are incredibly respectful, friendly and as neat, quiet and invisible as they can possibly be) came in and out dragging drop cloths and hoisting shop vacs and bags of materials over their heads, it was a relief to turn my back to the construction highway passing behind me and ignore the gusts of frigid air from the open back door and lose myself in the smooth back-and-forth of the knife. An effective form of therapy in and of itself, and as though that’s not enough, don’t forget that it results in crunchy-savory-sweet-spicy snack that will transport you to out of the dreary winter and straight to sunny, vibrant northern Africa. 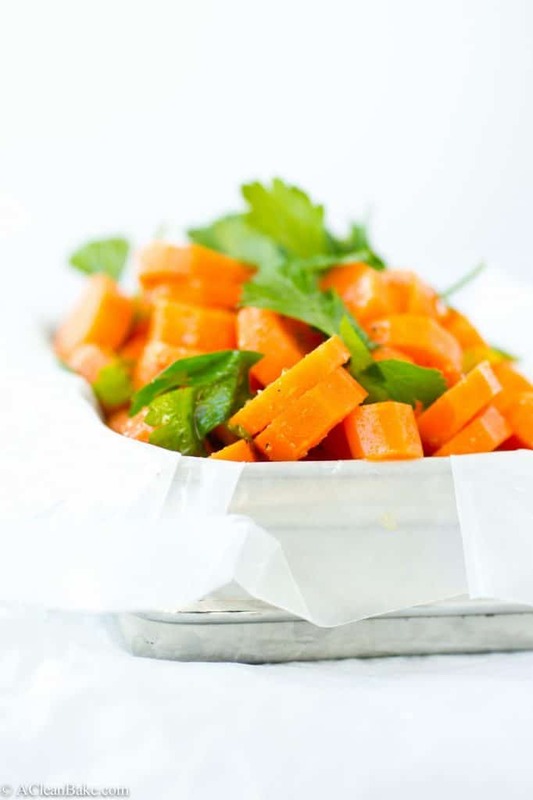 Steam the carrots for 2-3 minutes, until they are slightly cooked but still crunchy. Remove and immediately transfer to an ice bath (bowl of cold water with ice in it). This stops the cooking process so that the carrots remain crunchy and retain their color. Drain and transfer to a mixing bowl. Set aside. OmG, minor construction! I know! Everything is turned upside down and disorganization ensues. Sounds like you have a good attitude though… staycations and eventual clean outs are good! 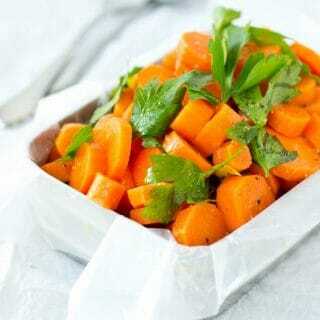 These carrots are definitely good! Love the color and flavors. I think I’ll go with the cumin and chili spices as I have those on hand yet in the mean time keep an eye out for ras el hanout (what an interesting name). They sound so delicious. Thank you for sharing! Inspiration? Where do I get mine… I guess it depends. For cooking, it’s whatever I’m craving or see in a magazine or glean from browsing my cook books. A long walk on a cool day never hurts either. Writing? That can be a hard one. However, when stuck I always look at the nutritional benefits of a particular ingredient, how it’s grown, prepared or if it’s in season. Hang in there. Inspiration will come….. I love that mantra – just chop something! I’ve been in a bit of a recipe rut lately, and the new job has been so busy that on the weekends I just want to sleep – but hopefully that will change sooon. I hear ya – it’s never fun to cook when you’re so exhausted and distracted. You’ll get back to it when you’re ready! We make these all the time at home! So good and one of the few ways I’ll eat carrots! Well then they are better than I thought! Ras el hanout is the best! Is it crazy that I want to clean out and organize your closet?!!? lol! Living in the midst of a renovation is the worst, so I totally feel for you! 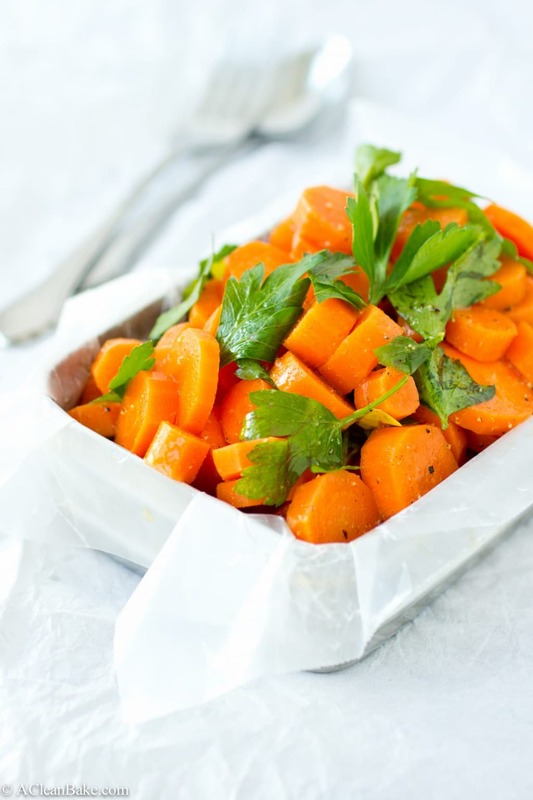 These spiced carrots look delicious and very comforting! Love the photos too! Pinned!